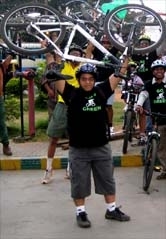 [ ] Go Green Initiator's Bike Lending Program. - GGI-Group size: 4000+ Professionals, Increasing on day to day basis, Come & join us 2 serve Mother Nature. 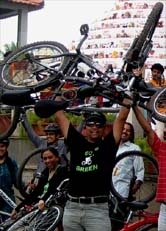 [ ] Go Green Initiator's Bike Lending Program. 1) Bike lending program is a way through which we wanted to encourage first timers to experience the joy of cycling so that they can go ahead and decide to purchase their own new bike. 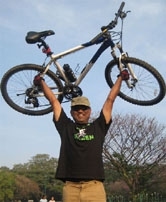 A nominal fee of Rs.300 need to be paid in advance while collecting the bike. These bikes can be lent for a period of 2 to 5 days only. 2) You need to be a member of GGI to opt for GGI's-BL Program. 3) Strictly, You can opt for this program only once. 4) Please see that their r no issues left over on the bike and ensure to get it fixed before delivering back. 5) The bikes that would be available through this program will not be suitable for long rides.